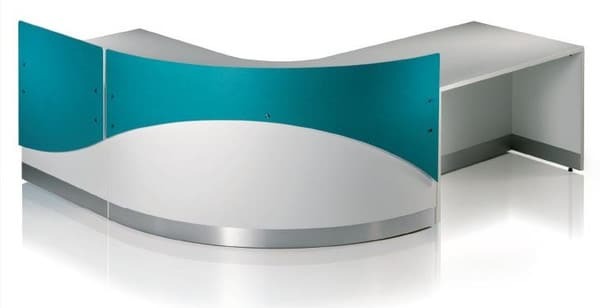 The combination of squared and curved units can be combined with shelves, turrets and privacy screens to suit. 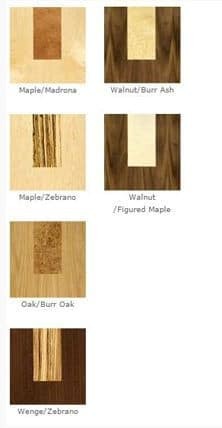 Panel ends can be specified in a matching veneer or laminate, as well as a silver finsh. 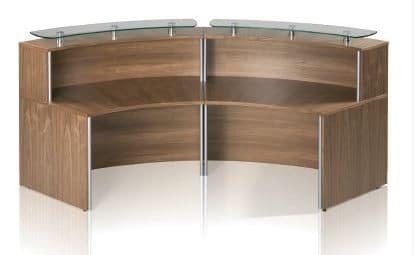 Available in a range of veneers, including crossbanding options, the units can include inlays in aluminium or contrasting wood veneers. 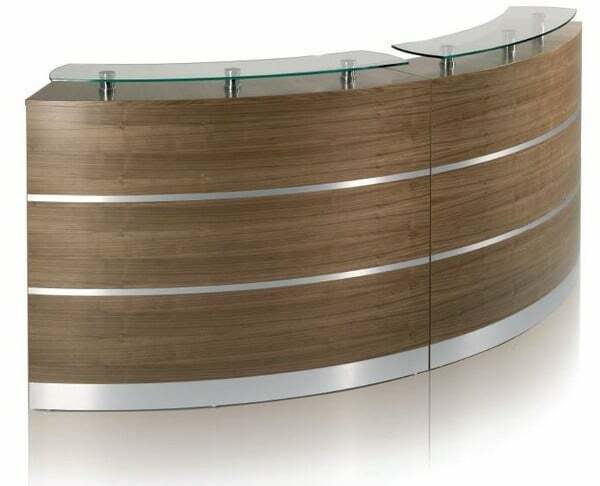 There is also the option to incorporate a company logo or message in to the veneer, glass shelving or privacy screens. The Fusion range covers every business' needs with high counter tops and glass shelves available for writing and a degree of privacy and DDA units for easy wheelchair access. Cable ports and wire management options can be specified at the point of order. Crossbanding options also available. End panels can be finished in veneer or silver painted.